MD-7 is a pure synthetic based lubricant designed for use in various metal cutting operations. With the use of a Micro-Dispensing system, more effective machining productivity and savings in fluid costs can be achieved, while waste and disposal problems are reduced. 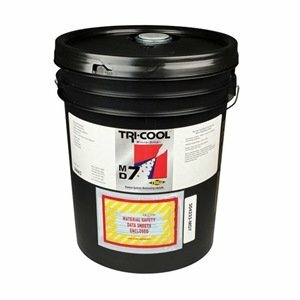 MD-7 is non-toxic, non-flammable, noncorrosive, and will not become rancid. Zero toxicity - contains no petroleum or chlorinated derivatives. Reduces heat and friction. Provide superior performance and long service life. They have been designed to meet operator safety concerns. Maximize production rates. Maximize operating costs. Extend machine and tool life. Increase speeds and feeds. Increase productivity. Water solubility: insoluble. Viscosity: 170 SUS. Flashpoint: 482 degree F.